Theater and film program, Kindergarten through adult. Theater troupes include Tiny Tots (K-2nd), Youth Troupe (3rd-5th), Teen Troupe (6th-12th) and the Lewis Lane Players (Community Theater that puts on multiple performances each year and offers an acting class for adults). The Guild also offers two summer camps in late July for middle and high schools students. The film division, KEG Productions, makes several short films each year, holds a two month film-making workshop each fall, and has various workshops on weekends in July. Most film classes are for ages 13 and up, although some summer workshops may accept younger students. 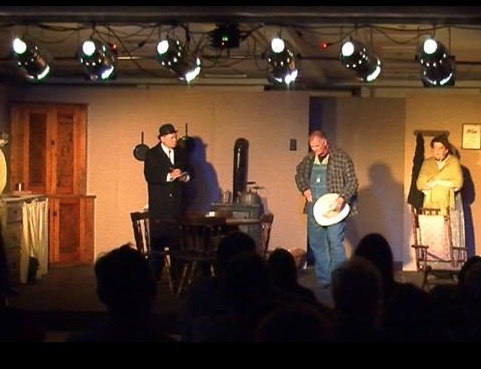 The Havre de Grace Drama Guild trains both the beginner and the seasoned actor to help grow and enhance their abilities on stage or in front of the camera. Opportunities also exist to learn stage management, directing and producing skills, sound, lighting, cinematography and other "behind the scenes" roles.